This is what my garden looks like right now. There’s nothing there. The soil needs to be worked but it is way too muddy to think about getting a tractor with a disk and plow in there. So I’ll have to wait. It does give me time however to dream. I’m thinking of planting flowers here this year. In the past I have planted vegetables in this spot. So a change of plans may be in order. Last year I planted over 250 Dahlia bulbs in a spot outside my kitchen window. My grandmother loved Dahlia’s and I’m in total agreement. They are absolutely beautiful. I plan on planting more this year. The vegetables are going into raised beds. I experimented last year on a small scale with this. I planted lettuce, beets and some herbs in a raised bed. The lettuce was phenomenal. As were the beets, and herbs. So I will add more raised beds this year. Making a homestead takes time. I’m trying to add more and more to our farm every year and am working hard to make it thrive. The picture above is of my blueberry garden. I try to add to it every year. Last year was my best crop yet. I had 4 bushes that produced and produced. I had blueberries that started getting ripe in June and I was still getting some off of my bushes in September. I froze a lot of them and am eating them for breakfast every morning now. They are so good for you and I love them. I planted 6 last year and will probably plant more this year. It takes a couple of years for them to start producing a large number of berries. So you have to have patience. I also have planted apple trees and they are slowly getting large enough to produce fruit. I’m probably going to plant more apple trees this year too. I would love to plant heirloom apples but I need to research them a little more before that happens. I’ve been getting a lot of seed catalogs lately. January seems to be the month for seed catalogs. My favorites are Rohrer Seeds, they are located in the Amish Country in Pennsylvania. I ordered several seeds from them last year and they all did very well. Another favorite of mine is Johnny’s Selected Seeds, they have a wonderful selection of not only vegetable and flower seeds but supplies too. If you lean more towards an organic garden I love Southern Seed Exposure. They are great to work with and I love the variety of heirloom seeds that they offer. I think they have a great website that is very informative. For fruit trees and nut trees I go with my grandpa and grandma’s favorite Stark Brothers. Stark Brothers has been around since 1816, pretty impressive. I have ordered my apple trees and my blueberry bushes from them and plan on ordering more this year. 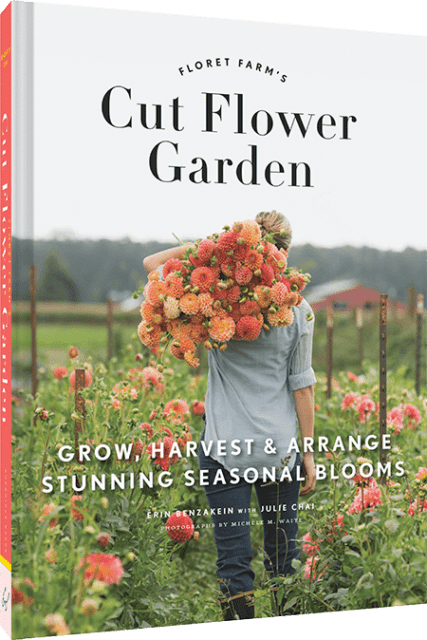 My favorite Blogs on gardening are Floret Flowers, if you have never visited this blog it is a must. This lady and her family are so inspirational for flower farmers. Her photos and her content are top notch. She shares so much knowledge with her readers in a very unselfish way. I also love Renfrow Farms, they have a farm and a hardware store that I would love to visit one day. Another blog that I follow is The Gardner’s Workshop. This lady has written a book and offers a lot of wonderful advice on her website and blog. I guess for now I will keep on perusing the catalogs and blogs for information on seeds, plants, bulbs and trees and dreaming of Spring. It will be here before we know it.